The bracket in the picture, grips on the upper and lower welding seam of the radiator. A separate device for unintentional lift-off is available as a spare part. The bracket is available for all radiator brands and for a lot of different wall distances. The wall distance is measured from the wall to the centre of the welding seam. As standard the bracket is available in radiator heigths 300-900 mm and in wall distances from 31 to 108 mm. Contact us for further information. The bracket top part is made from galvanised sheet steel 1.25 mm in combination with fibreglass reinforced plastic. 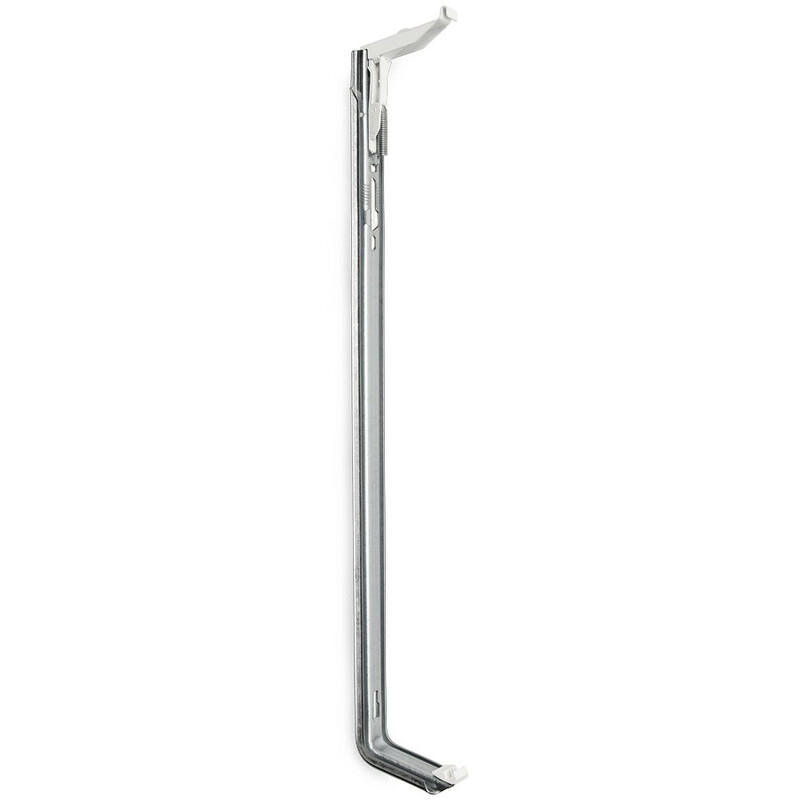 The bracket rail is made from galvanised sheet steel 1.5 mm, alternatively from plain sheet steel for powder coating. There is a plastic inlay in the bracket foot. The bracket is tested and approved by TÜV (German test institute). All brackets are tested in accordance with the new German recommended standards VDI 6036. Load capacity tables for different radiator sizes can be provided by Sigarth. MONCLAC wall brackets are always made to measure and customer requirements, which also secures the function of the product.